While we also include thousands of live and curated channels in our guide, it's important to know that the majority of TV shows in the SelectTV library are available to watch on-demand (not live). This means you can watch episodes online after they've aired on cable, often times less than 24 hours from when they premiered, if not later that week. Just note that some networks and content providers will provide more in terms of full episodes, than others. 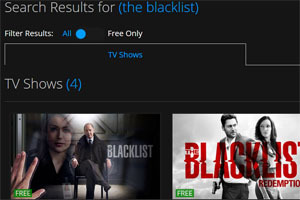 To find all TV shows available on SelectTV you can always start with using the search bar located at the top of each page. The search results will then pull up all available TV shows, movies and other video clips including that search term. 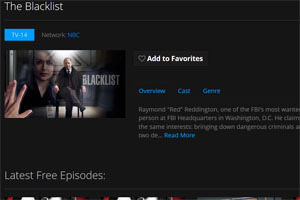 Just click the "Watch" button to get taken to the TV show's main page, where you'll see a description of the show, as well as a section showing the Latest Free Episodes, if that particular show is available to watch online for free. 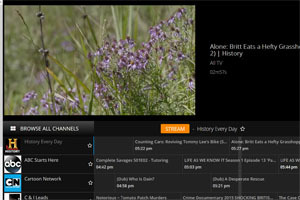 Once you select a particular episode you will be presented with all the different viewing options - if the toggle bar is set to display "All" content, rather than just "Free" content only, you'll see every possible viewing option. This will include free and premium content sources, as well as those which require a separate subscription in order to watch. 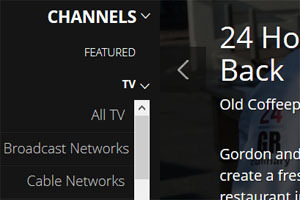 To find even more available TV shows you can always check out our Channels section as well. Once you select the Channels > TV, you'll see a number of TV channel categories for "All TV", "Broadcast Networks" and more. Just note that these channels often include compilations of TV show clips and not full episodes.